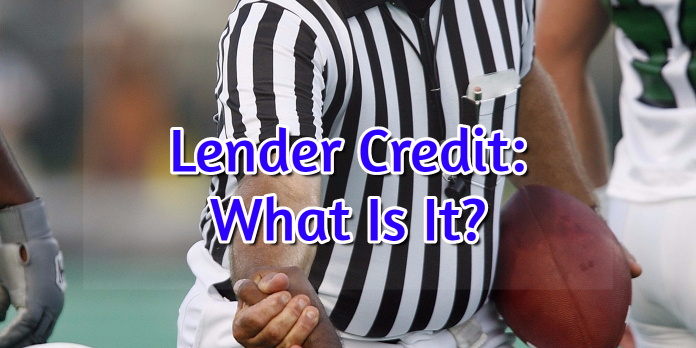 What is a lender credit? First we will need to backup, when you are purchasing a home with a mortgage or refinancing an existing mortgage, then there are fees and costs associated with the loan itself. When we are talking about a mortgage to purchase a home, the first item that is always needed is the down payment. Across all loan programs there are different down payment requirements so depending on the loan program the borrower is approved for will determine the amount they will need. For example, FHA loans require a 3.5% down payment, Conventional Loans will require as low as 3% or at least 5% down. On the flip side, if you get approved for a VA or USDA loan there are no down payment requirements and can be 100% funded. The down payment is a requirement of most lenders in order to obtain a mortgage, however, if you are looking to use a seller’s concession or a lender’s concession (lender credit) as a down payment, think again. Gift funds can be used as a down payment in some cases for FHA Loans and Conventional Loans. No matter the mortgage transaction, there are always closing costs associated with the loan. These are the costs that the borrower is responsible for no matter if it is a purchase or a refinance. Closing costs can be the following: title charges, transfer stamps, recording charges, credit report fees, origination fees, processing fees, underwriting fees, doc fees, attorney fees, flood insurance premium, homeowner’s insurance premium, and any other third-party fee associated with the home buying process. Even though the down payment must be brought to the table by the borrower, closing costs is money the buyer may not necessarily have to come up with. It is true that closing costs do need to be paid by the buyer, however, if the buyer gets a seller’s concession, this can help in offsetting the closing costs due. You do have to remember that even though you can use the seller’s concession towards closing costs, it is still prohibited against the down payment. If you get a large enough seller’s concession and all your closing costs are covered, then the overages need to go back to the home seller. If you have an overage, you can also try to use it instead of giving it back to the seller. You can use these overage funds by purchasing points to buy down your mortgage rate, or for an FHA loan it can be used for the upfront Mortgage Insurance Premium. Mortgage lenders could offer lender credit to the borrower to cover the borrower’s closing costs. This is where mortgage lender advertising can get misleading if you are not careful. It is a great marketing strategy to promote no closing costs loans as borrowers are thinking this is a great deal. You can’t be naïve in thinking that the lender is looking out for you and giving you a deal as the fact of the matter is you will get these credits BUT more times than not you will get a significantly higher interest rate than if you went with a standard lender not offering this. Often times, the lender will increase your rate up to 0.50% which may not sound like a lot but over the course of a 30-year loan you will pay thousands of extra dollars than you should have. If you need help navigating which concessions and credits can work with your situation, please give me a call and we can make sure you get the best possible rate with the least amount of money out-of-pocket as possible. All it takes is 1 phone call to 888-900-1020, an email to contact@loanconsultants.org, or vist www.loanconsultants.org.